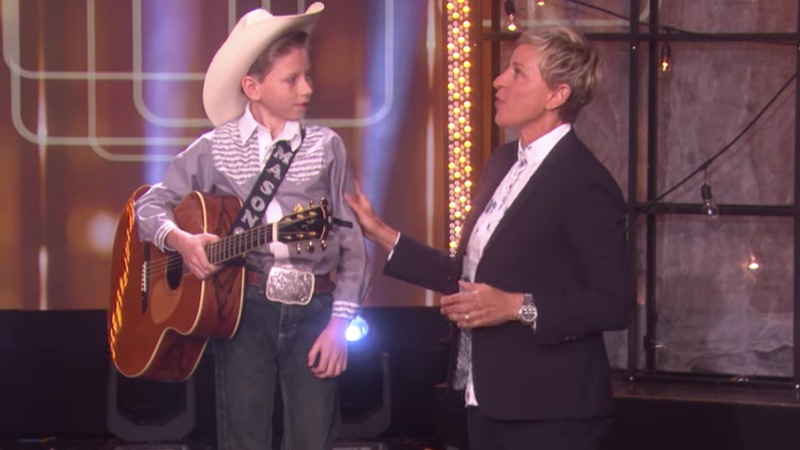 Lo, in these many hours since we first uncovered the boot-scoot-boogeyin’ boy Mason Ramsey—it’s been more than a week, now!—his Walmart-based yodeling habits have been remixed into oblivion as the internet chewed up and spat out its latest meme. But during that time, Ramsey has capitalized on his moment in the gol-durn sun: First, by completing the time-honored child-as-meme ritual of being a guest on Ellen; and second, by getting invited to perform at Coachella this weekend. As Uproxx reports, the invite comes at the behest of Chicago-based DJ Whethan, who decided he’d had enough of people comparing his looks to that of a pre-pubscent kid, and instead reached out on social media to get said kid to show up to his set in person and perform alongside him, thereby preemptively putting a stop to the, “But has anyone ever seen Whethan and Mason Ramsey in a room together?” speculation.